Anslem Rosario completed his graduation studies from St. Joseph College affiliated to Bangalore University in the early 70’s and enrolled for a certificate program in hotel management. After several years in the hotel industry, Anslem left to seek true meaning of spirituality and was initiated in the Transcendental Meditation technique(TM) in seventies by His Holiness Maharishi Mahesh Yogi, founder of TM movement. After completion of the course, he graduated as a teacher of Transcendental Meditation and worked as a full timer and joined various campaigns of TM movement in Madya Pradesh, Assam, Karnataka and Goa and during that time taught more than 5000 people in TM. He also completed an Advanced Training Course at Shankaracharya Nagar, Rishikesh, before returning to Bangalore. In the early 1980s, he worked as development officer for the All India Catholic Union in Karnataka and Goa, and moved on to work on urban poor issues. Observing the most runaway or abandoned street children took to waste-picking as a means to survive, he founded the Ragpickers Education and Development Scheme in 1985. The scheme had several components including a night shelter, which was constructed at Scared Hearts Church, also included washing facilities, food and access to basic medical care; a Fair Price Shop that respected the children’s need economic independence and purchased the materials collected by the children at market rate. 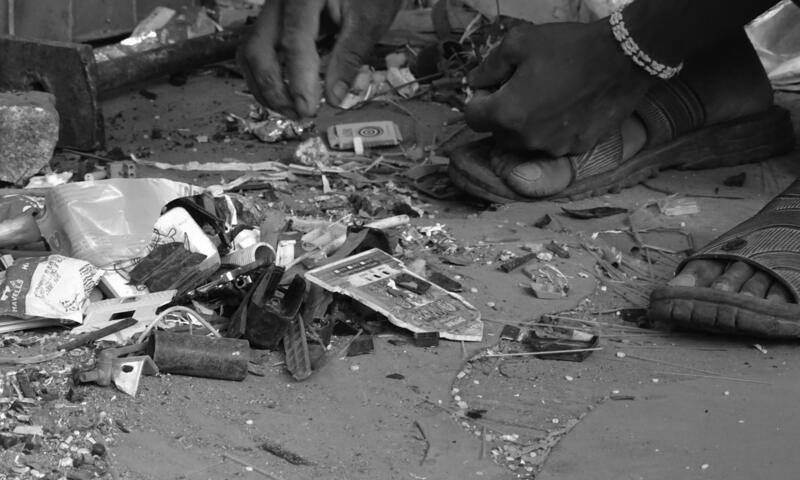 This was followed with a new Street Contact Education Programs to reach out to children involved in waste-picking. In 1987, he moved to set-up Mythri Sarva Seva Samithi, as he wanted a secular institution. In 1989, through the organization he started collecting waste directly from homes, to ensure that children are free to study in the mornings. Separate collection of dry and wet waste ensured. The program also sought to legitimize informal waste workers contribution and pioneered the integration of waste-pickers in the city’s solid Waste Management. He is the recipient of “Ashoka Fellowship” ( 1989) from Ashoka Innovators for the Public, Arlington, Virgina, USA .He received the “Public Relations Award 1993 for Environment” for his significant contribution to the creation of cleaner urban habitat by Public Relation Society of India, Bangalore Chapter. He also received the “Environment Award for 1995”, by the Karnataka Pollution Control Board, Government of Karnataka. In an interview to Radio Active CR 90.4 MHz, Anslem talks about waste and waste management, his personal experiences on decentralization of waste, the markets for waste and the need for integration of waste-pickers.